If you need Bermudagrass varieties specially developed to thrive in the demanding climates of San Antonio and Austin or anywhere in Central and Southern Texas, please give us a call at 1-800-753-5182 or 1-979-244-2496. 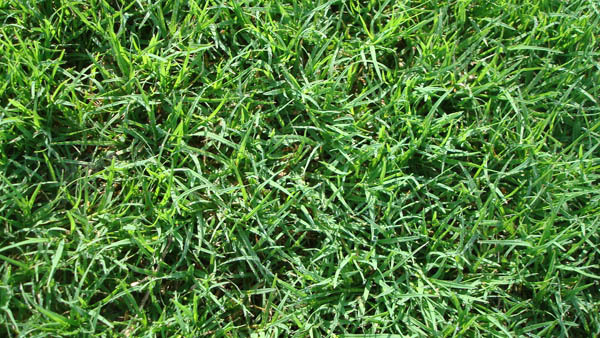 Bermudagrass varieties are used in applications throughout Texas. They generally tolerate drought and foot traffic, but they do not grow well in shade. 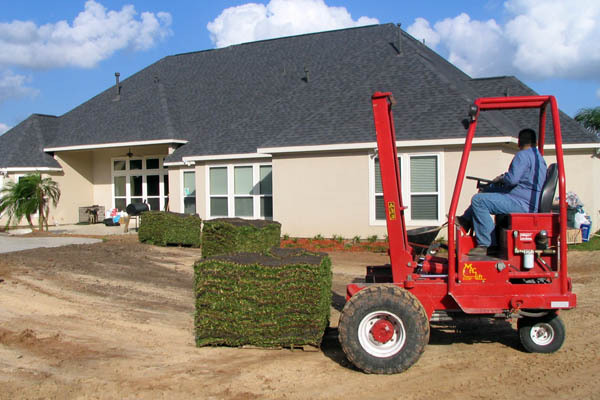 Bermudagrass sod is used for lawns, golf courses, and athletic fields. 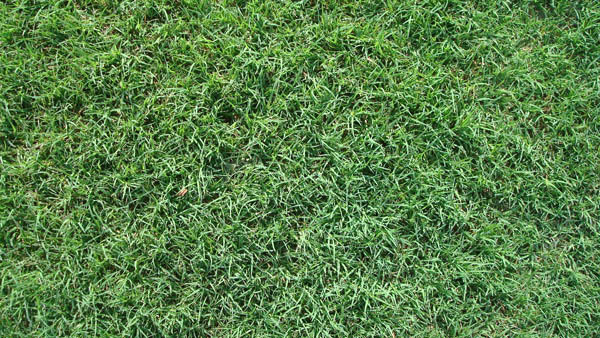 Tex-Turf 10 Bermuda grass was developed by the Texas Agricultural experiment station as a medium-textured, dark green variety that is more wear resistant than Common Bermuda grass. It also lacks the seed heads of Common Bermuda grass. 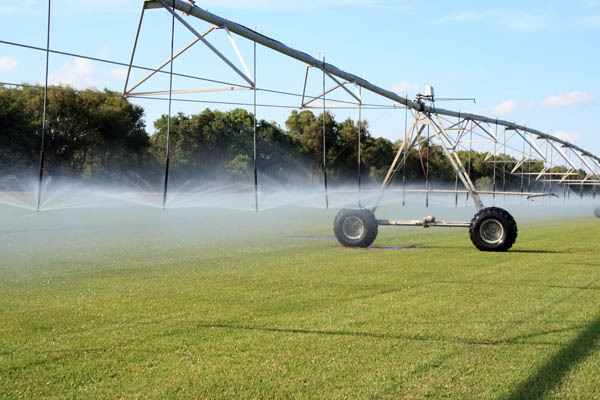 It has been a top performing Bermuda for drought tolerance in recent drought studies. This grass will require 3-4 applications per year of a 3-1-2 ratio fertilizer with a slow release nitrogen source. Ideal mowing height is 1-2 inches with a rotary mower or a reel type mower. 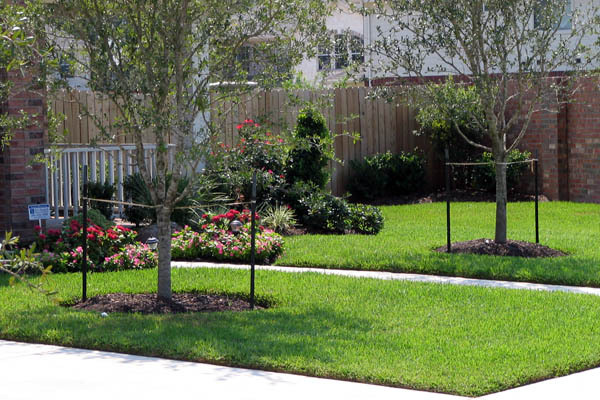 It requires 1 inch of water every 3 weeks during the fall, winter, and spring seasons. This increases to 1 inches of water every seven days during the extreme heat of the summer. This grass will only grow in full sun. 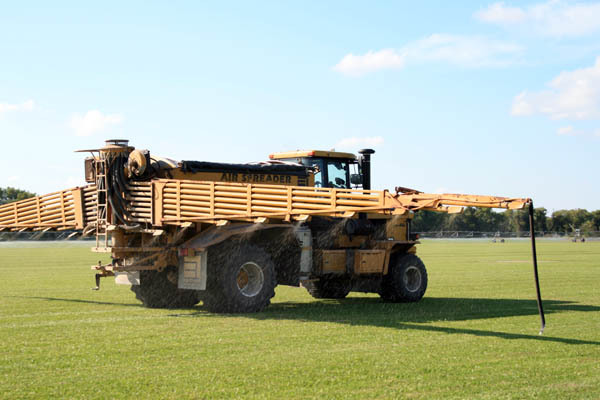 Disease problems with Bermuda Grass Decline in late summer or fall. Insect problems include army worms and grub worms normally during the fall season. 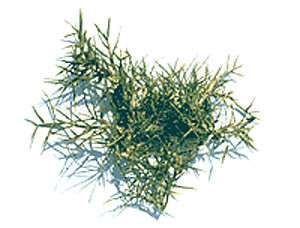 Tifway 419 is sterile and therefore must be propagated as sprigs or as sod. It requires 1 inch of water every 3 weeks during the fall, winter, and spring seasons. The ideal mowing height for Tifway 419 is 1 inch either with a rotary or reel type mower. It requires 2 or 3 fertilizer application per year with a 3-1-2 ratio fertilizer with a slow release nitrogen source. It requires 1 inch of water every 3 weeks during the fall, winter, and spring seasons. This increases to 1 inches of water every seven days during the extreme heat of the summer.